Switchcraft's AAA Series 6-Pin XLR Male Cable Mount (Black Metal, Gold) is a premium XLR connector and has only two pieces to assemble. 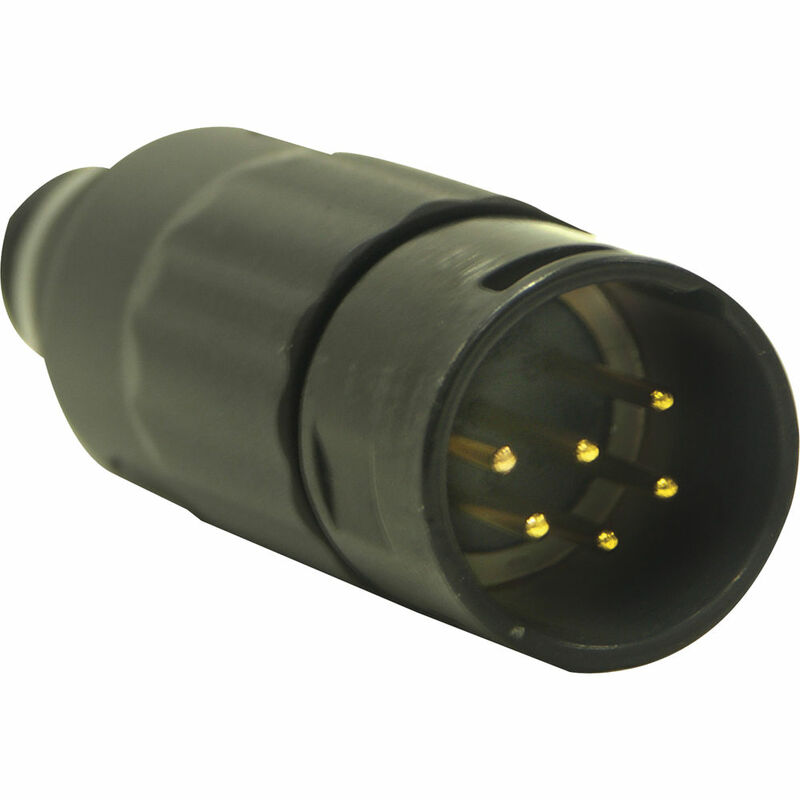 This XLR connector has an easy twist on handle that reduces assembly time, a rugged die-cast metal handle and because of its strain relief, it accommodates wide cable OD ranges. Box Dimensions (LxWxH) 3.0 x 2.5 x 0.8"